Between two German enemies! 2016 Mercedes Benz GLE vs 2016 BMW X6. Check out our review. Some love the 2016 Mercedes Benz GLE, others prefer the 2016 BMW X6. Here’s why we love both cars. 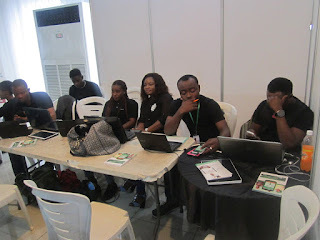 The much anticipated event by Cheki Nigeria tagged “Every Woman Any Car” and themed “WOMEN WITH DRIVE”has finally come and gone and Motoring Nigeria was present to cover every moment of it. The event which was held on Friday 24th of June 2016 at the Lagoon Front Marquee, at a brightly decorated and well illuminated hall on the Island had more than three hundred (300) women in attendance of which most where seated before 10 a.m. 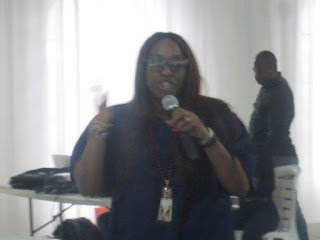 The Event kicked off at exactly 11 a.m. prompt with an opening speech by the Manager of Cheki.com.ng Mrs. Tomi Hodonu in which she told seated guests that the programme came as result of Cheki’s drive to empower women to take a stand in the car industry, she stated that, “OUT OF OVER 4000 DEALERS WE HAVE ON CHEKI.COM.NG JUST FOUR (4) ARE WOMEN, which prompted us to push for an event to empower the women folk”. Every woman should be allowed to drive and not just drive a particular car allocated to them but any car they so please. Also she further explained, they should be able to have the passion and drive to do anything they so please without the hindrance or opposition attached, thus the name EVERY WOMAN, ANY CAR: WOMEN WITH DRIVE. 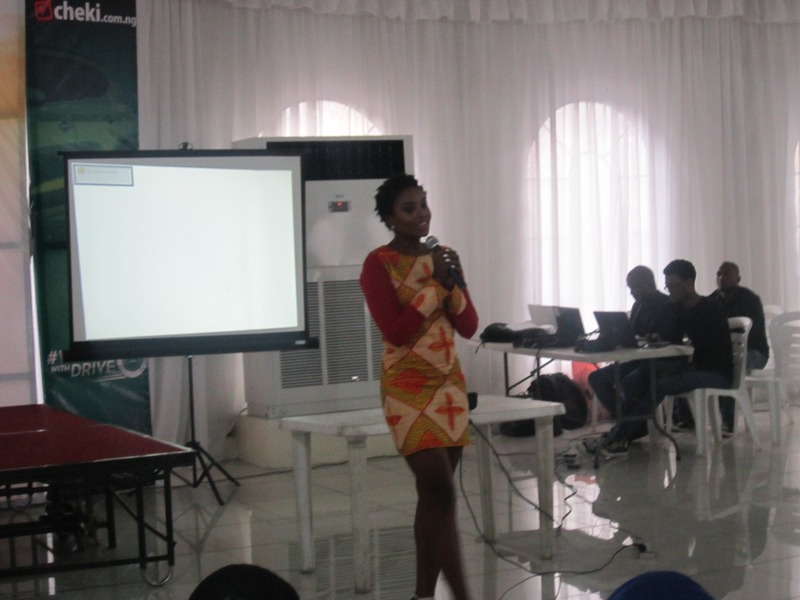 The first facilitator Mrs. Osayi Alile spoke on the topic “Creating a worthwhile drive”. She explained the need for every woman to learn how to drive even if she’s yet to own a vehicle, as emergencies may arise with no readily available help. She also commented on the very minimal rate of female folks who are UBER drivers which truly is alarming and needs to be changed, stressing the fact that women need to define who they are and not allow society or their environment to define them. Mrs Ngozi Adebiyi another facilitator told participants after a little exercise in which they were allowed to picture themselves with whoever inspires them in a changing world and a few participants shared their experiences teaching us that women need to be ready to enact a change in the world. There was a live performance by MTN Project Fame season 7 Finalist Daniella who did a cover to Adele’s Hello and an original track by her. There was also a raffle draw conducted by one of the speakers, The CEO of The Etiquette Avenue, with the winners being sent to AA Rescue for driving lessons weresponsored by Honeywell Oil and Gas Nigeria. The winners include, Miss Temitope Oluwajimi, Miss Odili Joyce and Onyinye Chukwu. 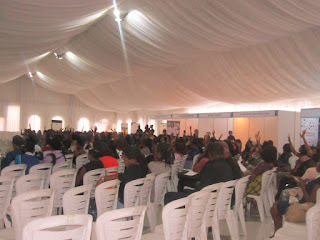 There was a break-out session where the women were allowed to go round to visit each of the partners’ stands to learn what they had to offer and surely were not disappointed as some of the partners had very juicy offers such as car loans, financing, driving lessons, car insurance, free rides, purchase of cars, home kits just to mention a few. The major sponsors and partners include UBA, VFD Microfinance Bank, TOTAL Nigeria, MTN Business, Honeywell Oil and Gas, AA Rescue, GOMYWAY.com and OIAS Insurance. 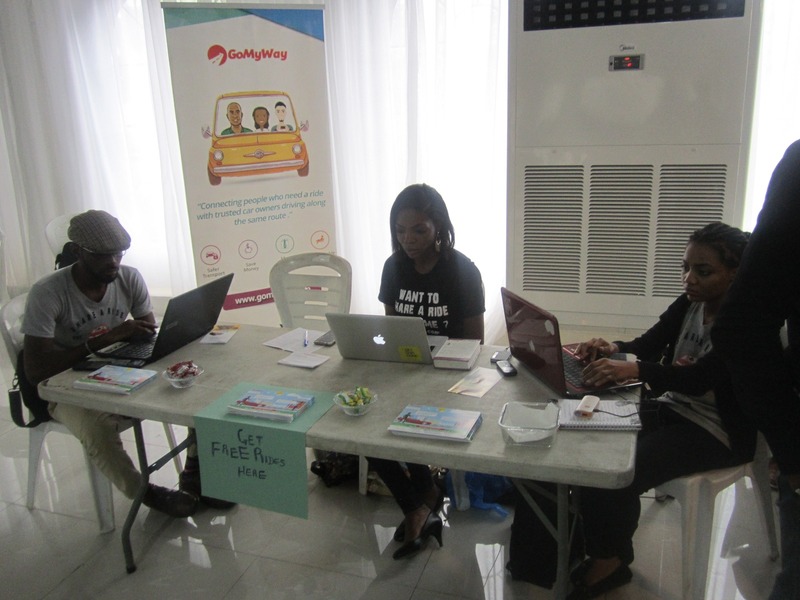 The Cheki sales team were also present on hand to help participants purchase vehicles from a wide variety of choices. 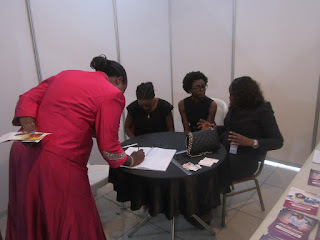 This was followed by a brief recess for light refreshments after which representatives from some of the sponsors came to give few talks and business advice needed. There was also a “catch the bouquet” for single ladies by the event hall management, in which the winner was given a 35% discount on the hall for her wedding reception use and every other single who came out were given a 25% discount. 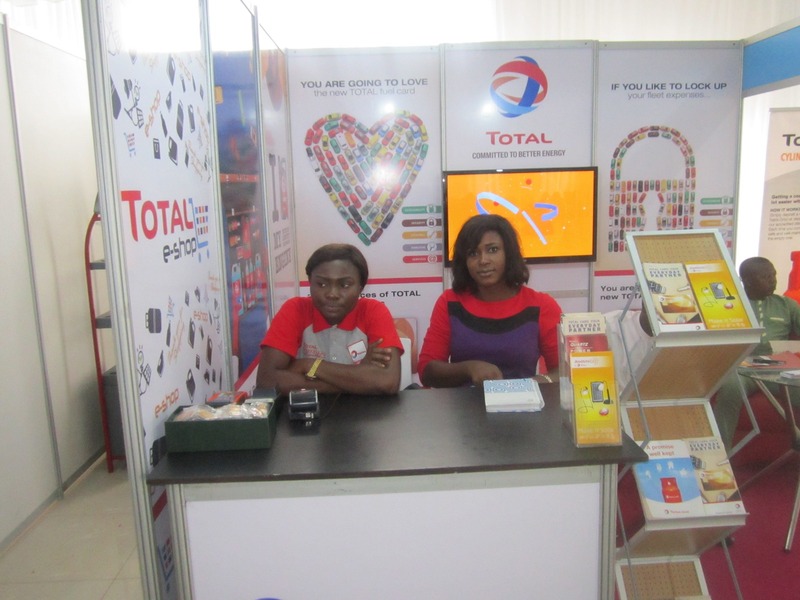 In a brief interview with some of the partners, Miss Yetunde Adegoke from TOTAL Nigeria told us that she believe that women need to learn how to drive as their spouses or drivers will not be available all the time especially in the times of urgent need. She further stated that TOTAL was committed to making this a reality with their variety of products available to aid the female folk drive with products such as the car kit, e-cards for fueling and other services. Also in a similar view, Miss Damilola Teidi from gomyway.com a car pooling service in Nigeria believed that every woman deserved a safe, comfortable ride to and from their destinations and they were there to provide it. In our final brief Interview, Miss Emmanuella Anadobi from AA Rescue also told Motoring Nigeria crew that it is a must for ladies to learn how to drive, she admitted that though there were challenges to driving in Nigeria it is a necessity. We further engaged her in a slight discussion in which she revealed that she believes women were more careful drivers than men due to the fact that one accident could scar a woman psychologically and she might not recover from it. Another male participant at the event begged to differ claiming women were more aggressive drivers than men. BREAKING NEWS!! 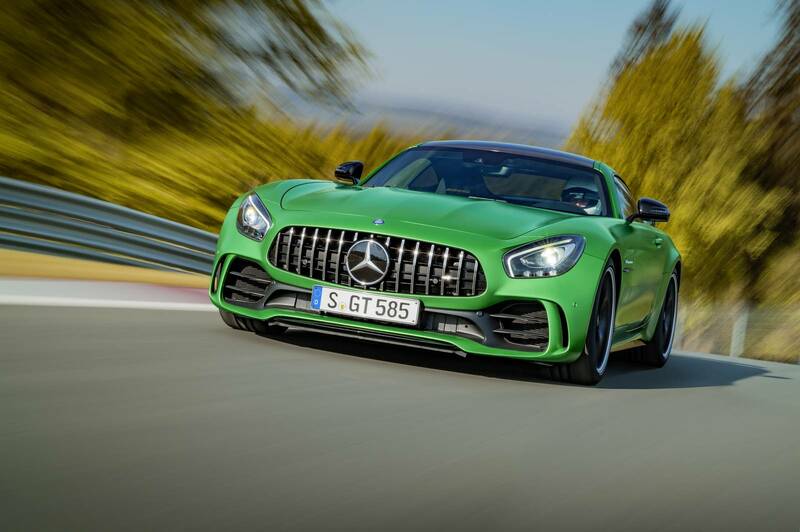 Lewis Hamilton releases video of the Mercedes Benz AMG GT R. "Beast of GreenHell"
The Mercedes-AMG GT-R has been officially unveiled ahead of the Goodwood Festival of Speed 2016. 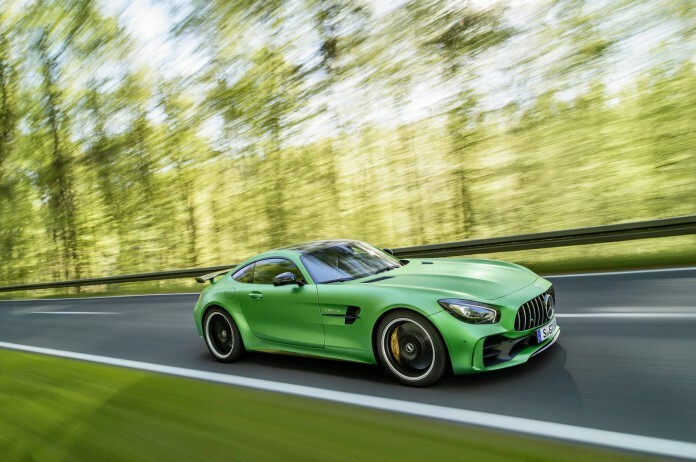 The Mercedes-AMG GT-R (presented in matte green) was developed at the “Green Hell” – the Nurburgring. It will be available to order from 21 November 2016, with a March 2017 market launch in Europe. 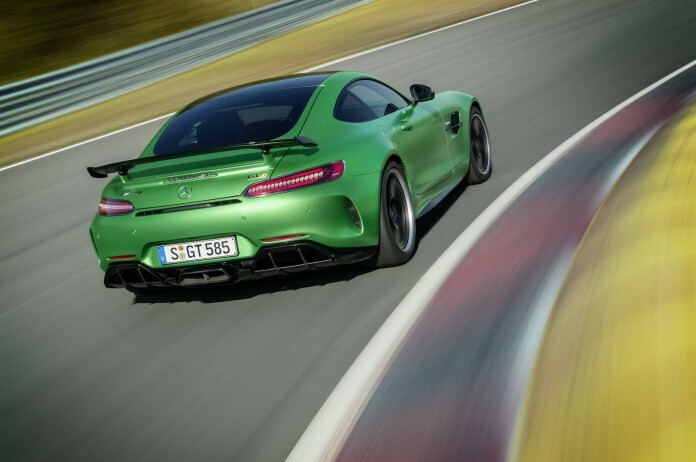 It is the third model in the AMG GT range. The GT-R gets wider fenders at the front and rear, hiding a 57 mm wider track. The front bumper gets a larger spoiler and the rear bumper, a large double diffuser and spoiler combination. Styling is very clearly lifted from the dominant AMG GT3 race car. 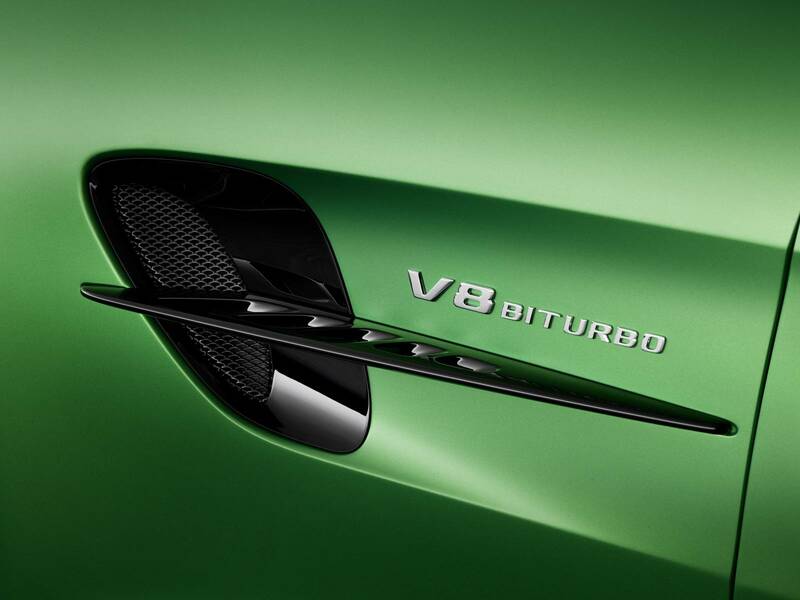 Larger openings create better cooling for the V8 engine. Air Curtains on the outside of the facia calm the airflow. Many of the aerodynamics are active including a venturi tunnel hidden beneath the front skirt. Vertical louvres can also be opened and closed to improve airflow. The roof of the AMG GT-R is high grade carbon fibre. New lightweight 10-spoke forged wheels are finished in matt black measuring 10.0 J x 19 ET56 at the front and 12.0 J x 20 ET52 at the rear. They hide yellow calipers. 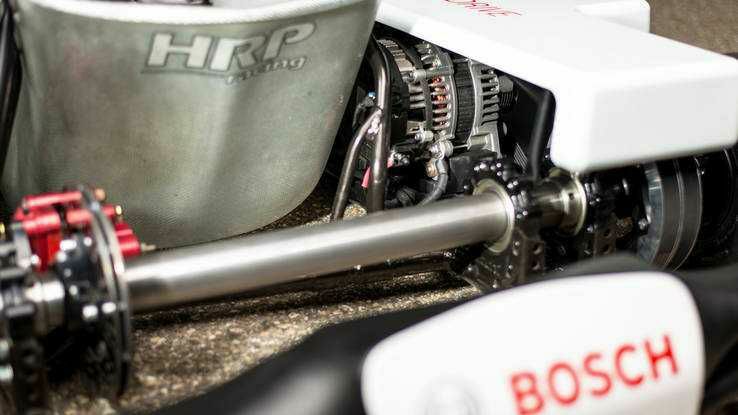 The wheels are connected to forged aluminium wishbones, steering knuckles and hub carriers. Uniball spherical bearings on the lower wishbones also improve precision. The rear axle gets a thicker anti-roll bar. The biggest headline (arguably) is active rear wheel steering in the same vein as the Porsche system. The system turns the rear wheels by as much as 1.5 degrees. The rear axle gets a limited slip differential and speed sensitive sports steering finishes the handling package. The 4.0 litre twin-turbocharged V8 gets 75 hp performance boost for a peak figure of 585 hp with 700 Nm of torque. 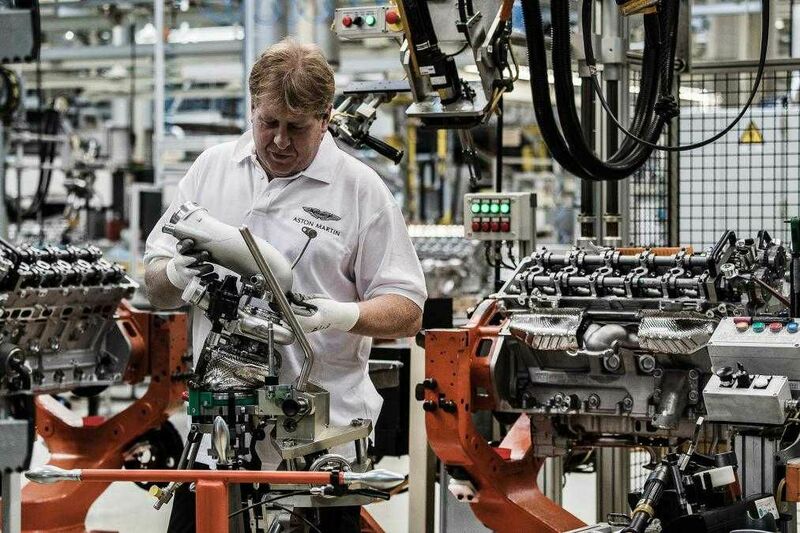 The power increase is achieved through new turbochargers with 0.15 bar of boost. 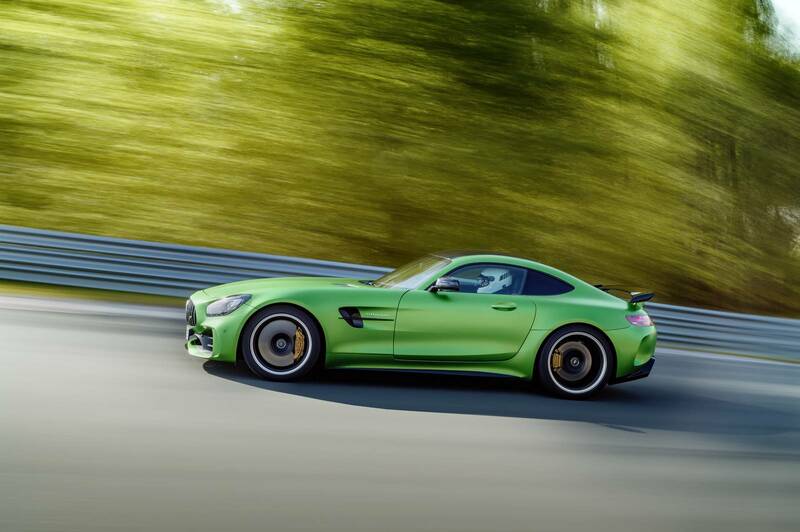 The AMG GT-R manages 0-100 km/h in just 3.6 seconds with a top speed of 318 km/h. Drive is through AMG’s SPEEDSHIFT DCT 7-speed sports transmission. 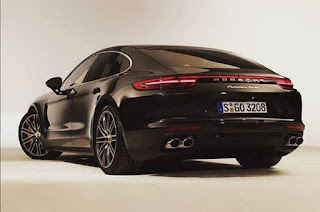 Weight distribution is a rear-biased 47.3 to 52.7 with a power to weight ratio of 2.66 kilograms per hp. Inside, lightweight manually adjustable AMG sports bucket seats are upholstered in nappa leather and DYNAMIC microfibre. Optional yellow seat belts, dials with yellow highlights, AMG Interior Piano Lacquer package and special controls are also available. The new AMG Interior Night package comes as standard. As an option, customers can order the trim in matt black carbon fibre. After all said and done, all we gotta do is wait for the first one of these babies to hit our roads. Follow us on Instagram @motoringnigeria to watch the video of Lewis Hamilton introducing the Mercedes AMG GT R.
We all know Kevin Hart has had a stellar couple of years with back to back box office smashes, so much so that when he posted this picture we were immediately 99.9% sure he was trying to tell us he had just upgraded his Ferrari 458(picture below) to 488 above. See how this insane supercar reaches 400km/hr in just 20 seconds. KOENIGSEG REGERA: PERFECTION AND PERFORMANCE ROLLED INTO ONE. 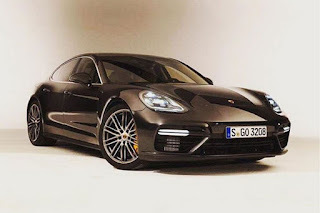 So my brief was simple, my editor asked me to blow his mind and regale him of a car that he probably wouldn't drive in his lifetime, a car that would never ever be seen on a Nigerian road (I repeat never ever for emphasis sake). There you have it my brief. Now this is a tough one considering fact that if you spend a lot of time on our Instagram page ...(@MotoringNigeria) you'll be left with just one thing..... Never underestimate Nigerians! 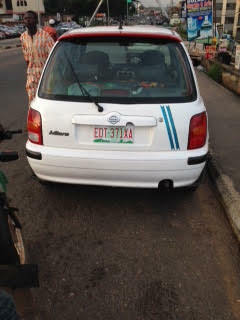 We're one heck of petrol heads around here, I mean you see some cars on the page and you're like ....In Nigeria already? Sigh. All paid for in cash. No instalment or fear of repossession. Oh well, I digress. The point is, what car could I possibly write about that might seemingly look similar to my brief? Well, the good lord opened my eyes to Scandinavia, most precisely the land of birth of one of my favorite footballers Zlatan. Christian von koenigsseg. 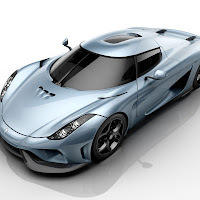 And the car that eventually ticked all boxes is none other than the Koenigsseg Regera. Here's the thing, I could have chosen any Koenigsseg and they would still have passed the bill, but why choose just any Koenigsseg, when you can have the latest, right. The Regera is coined from the Swedish word meaning "To rule" "To reign" which is quite apt considering the fact that at 0-100km/h it clocks at just under 2.8secs making it the fastest accelerating car in the world! Koenigsseg produces fewer cars in its lifetime than Ferrari produces in a week, yet the car manufacturer happens to stay in the headlines for the most positive reasons . The Regera adds to that glowing list of impressive headlines, as the first hybrid hypercar that would be built by the Swedish company. The figures are somewhere beyond being merely mind blowing . The Regera follows the example set by the Mclaren P1, the Ferrari LaFerrari, and the Porsche 918 by using a hybrid drivetrain, albeit one completely unlike anything we’ve seen before. 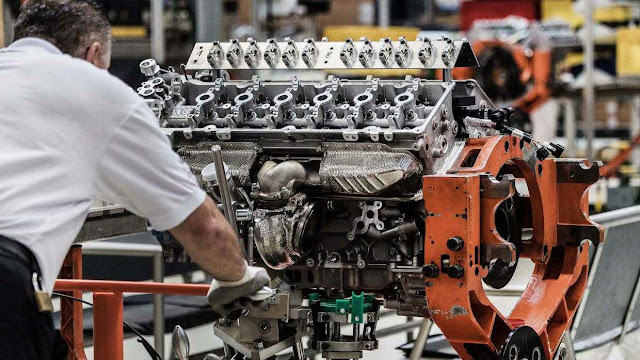 It uses both a twin-turbocharged 5.0-liter V-8 engine and three electric motors for a total combined output of 1.11 megawatts, which converts to 1509 metric horsepower—or 1489 horsepower on America’s SAE measuring stick. Koenigsegg claims the 0-to-400-kph (249 mph) acceleration time of less than 20 seconds. 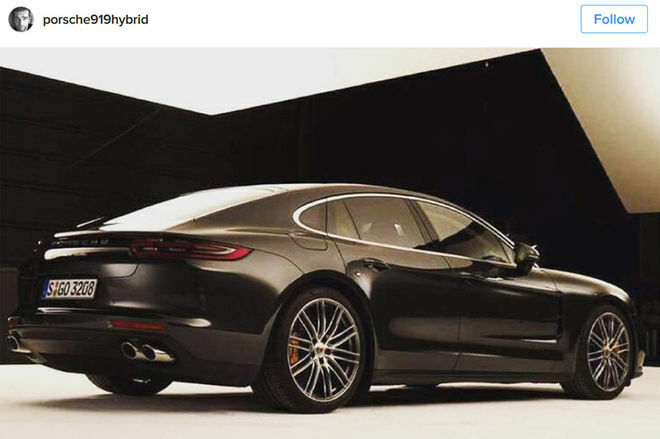 The side and rear profiles are dominated by the aero channels and the huge deployable rear wing. The cabin is the biggest surprise; Koenigsegg’s previous models have all had cockpits like blinged-up Group C racers, but the Regera looks plush and spacious by comparison, the big central display screen even features Apple CarPlay. The drivetrain. The gasoline side features the novel Koenigsegg Direct Drive transmission: In effect, a single-speed gear reduction for the mighty V-8 engine. Between the engine and the 2.85:1 rear final drive there’s no conventional gearbox, just a hydraulic coupling that, when closed, links the two directly. 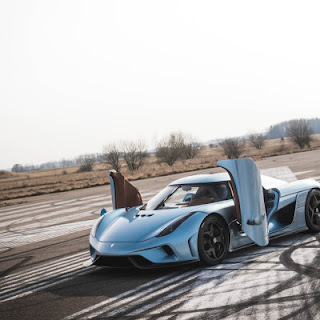 Below 30 mph, this can slip slightly, but it isn’t a proper clutch and won’t provide propulsion at very low speeds where the Regera relies instead on its electric motors. Above 30 mph, the Regera’s engine speed and wheel speed rise in direct proportion, with the engine’s 8250-rpm redline corresponding to the top speed of 249 mph. In its innovativeness Koenigsegg built a car with one gear that uses electric power and an internal combustion engine working in concert to create one of the fastest accelerating cars of all time. 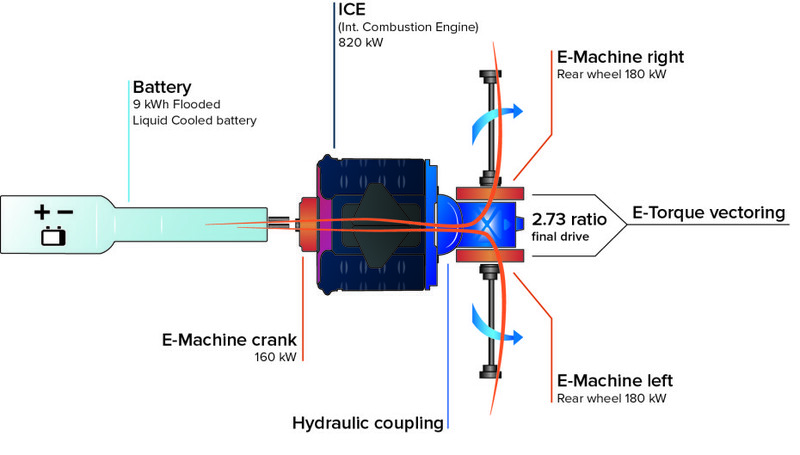 And according to Jalopnik, this is how it works. 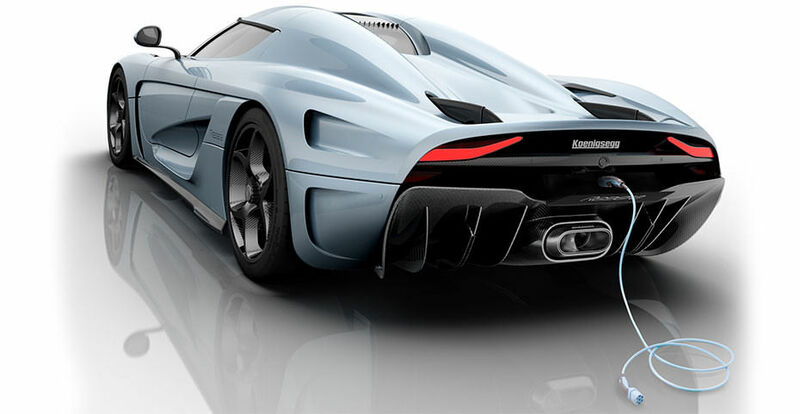 The Regera uses Koenigsegg's 5.0 liter turbo V8 along with three electric motors. 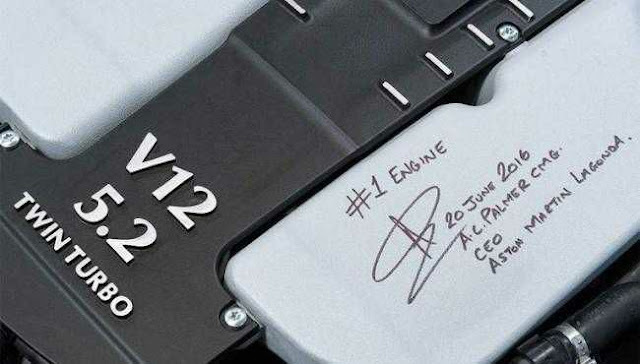 They are powered by a nine-kWh, 620-volt, water-cooled battery pack, which Koenigsegg says is the most power dense battery pack every created for a production car. 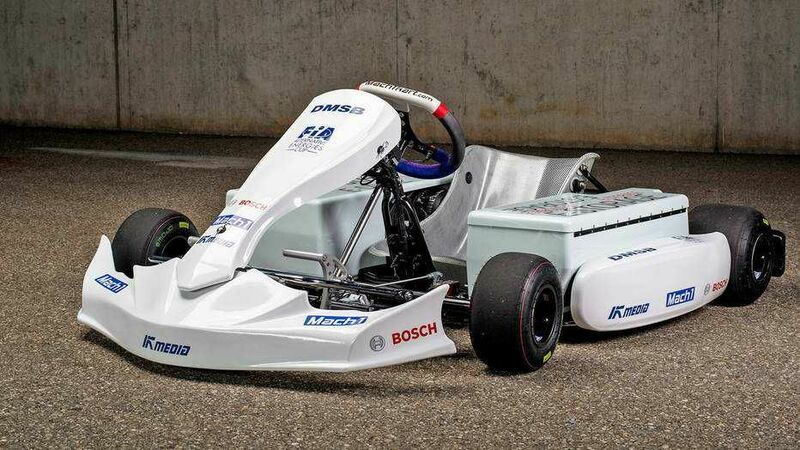 a starter motor/generator) while the electric motors on the rear wheels make 241 horsepower each. This also allows for torque vectoring between the rear wheels. Real torque vectoring, not brake actuated. Okay...at this juncture I know you're probably bored reading all that. I'm bored writing them also. Well, good luck experiencing the Regera as the base price for a single unit is estimated to be $1,890,000 without taxes or Charges. And to make it more exclusive, only 80 units will be produced, to put that into perspective as at 2014, there were 1645 dollar billionaires in the world. 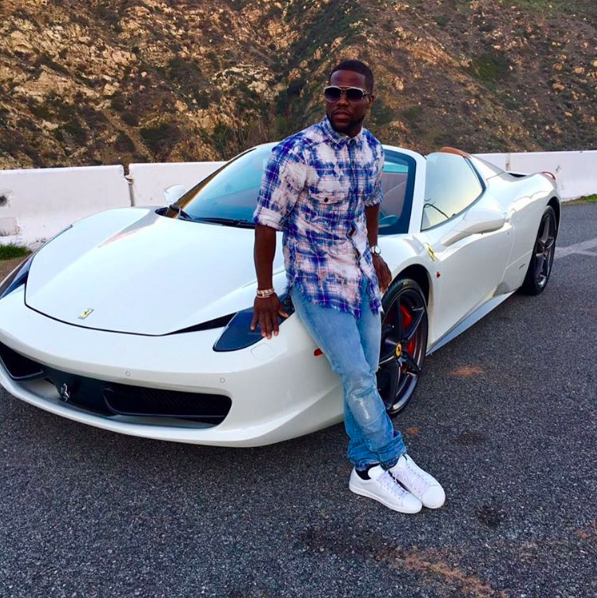 Even most billionaires won't have this car. What then is our fate as per the masses? We can only drool and dream. But while you're dreaming and driving the Koenigsegg, remember to use your seatbelt and drive carefully. Afterall, Eyan le ku any f**cking time! So after being away for quite some time, I return to my place of birth, my first love, my dream land ( if it remains so after this observation) and most importantly, the place where I truly feel at home, Ibadan, Oyo state Nigeria. There's something about the city that appeals to my better senses. The serenity, the peace, the orderly pace with which traffic moves, the calmness that permeates the air when you drive around. It's like a the perfect mix between New York and Boise, Idaho (not like I've been to either, but you know ... Seen enough Hollywood to know that driving is not for the faint hearted in the former, and a relative breeze in the latter). But recently something seems to be off. This relatively drive-easy town has suddenly been overtaken by pests, and I'm not talking about the Okadas or the Keke-NAPEPs or even the Ajumose buses, no. It's the damned MICRAS! Nissan Micra to be specific. What is a Nissan Micra? Nissan needed a rival for the already burgeoning Toyota starlet and hence the Micra was conceived. The Micra is something of an old breed, having been in production since 1982!, and it's actually being critically acclaimed for its reliability, excellent build? and user friendliness. I mean all these are pretty cool (throw in low fuel consumption) and you can see that this car was going to be a hit in developing countries, then the Oyo state discovered it and this supposedly glorious vehicle changed for the worse. Sigh. You see, as an autophile, I'm absolutely game for the occasional car driver/ taxi driver scuffles, me thinks as a Nigerian commuter we need comic reliefs every once in a while. Else we'll just die of sadness and heartbreak prematurely. However when this supposed comic reliefs start turning to nuisances you that "it has passed be-careful" (I promise you it sounds better when my mom says that phrase in my local tongue). I mean how else can you explain how a taxi driver gets involved in a fender bender, and a scratch with two different people in the same week!? Apparently it was the same Micra driver who scratched my own vehicle earlier in the week. Well my friend isn't as long suffering as myself, so he came down and hooked the driver and you know how the story goes, the "Ejo sir, e ma binus" had the day. 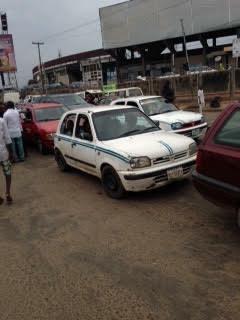 And a quick search on Twitter brought about several complaints against these same Micra drivers. But it got me thinking. How did it become like this? Is this a case of poverty alleviation that constitutes a different nuisance or what? I know this is Ibadan and I'm sure the Lagos readers are rolling their minds eye that it's worse in Lagos. I agree... But. How about sensitization of the drivers on our roads? This nuisance can't continue. 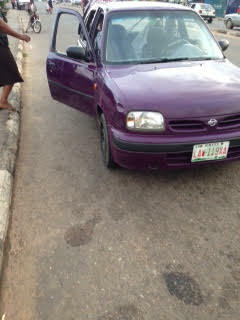 Or how will I ride my Aventador in Ibadan struggling with these things on the same road?? 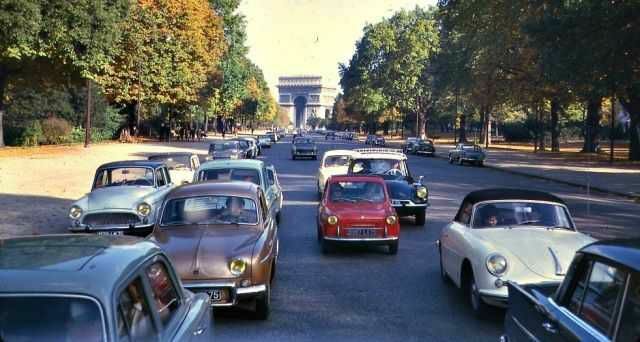 Ignore the luxury coat, it's still a Micra at heart..
Paris Set To Place Ban on Vehicles Made Before 1997. 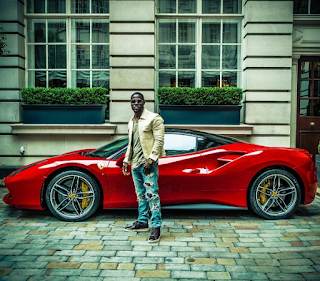 Your classics should be prepared for some tough love if you you live in Paris. Starting July 1, the Parisian authorities is set to place a ban on cars made before 1997 from the city center on weekdays and this also includes motorcycles made before 2000. 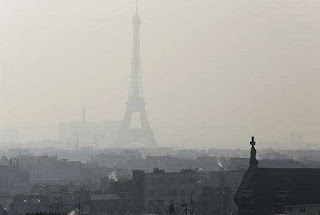 The French capital has experienced an alarming level of air pollution in the last few years, as at Match 2015 the pollution reach a peak that saw the city's air quality drop lower than that of Beijing, China. 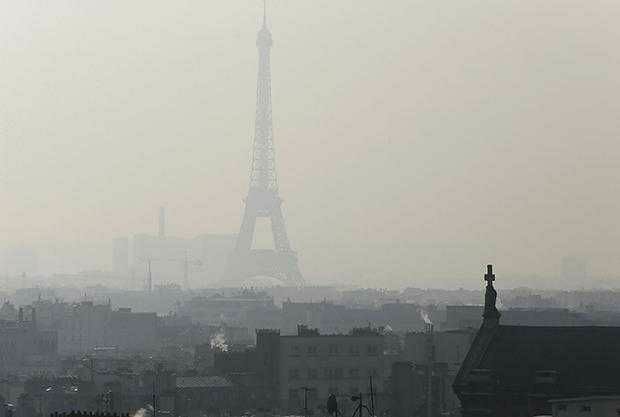 "Parisian smog in February 2015. Image Credit: Getty Images"
After trying out temporary restrictions to vehicle traffic, Les Echos reports that the city has decided to implement new rules that will ban older and more polluting vehicles from its streets on weekdays. Those restrictions will also tighten over time; in 2020, only cars built since 2011 will be allowed. At the moment, violators will not face a penalty for the French authorities have give a time frame from now till October for its citizens to adjust to the new development. 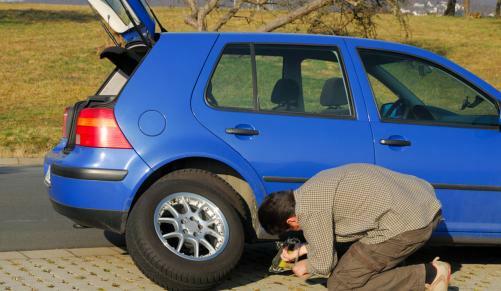 At the start of October the police will begin ticketing rule-breakers with a 35 euros fine. That'll go up to 135 euros in 2017. Speaking of "tough love", the French city will give you all the time you need to be with you sweet classic ride but only on weekends. Yes, make it count. Are you for or against this ? let us know in the comment section below. Nigeria is a country with great potential and untapped resources. A country with a population of 170millon people with 36 states and the Federal Capital Territory. Crude oil being the major Industry contributes to about 70% of the country's GDP. 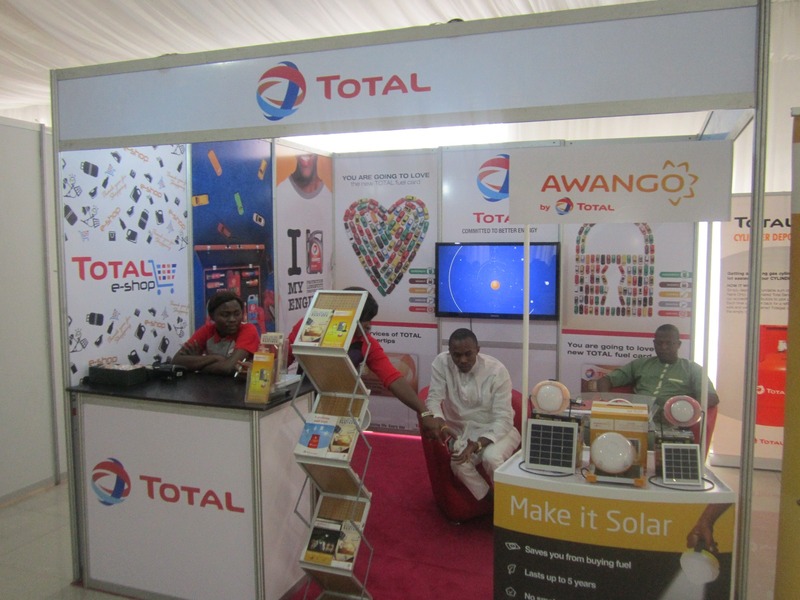 The ignorance of developing other industries have caused the large gap between Oil and other sectors like the Real estate, steel, construction, agricultural, science and technology, solid minerals and many more. However, what seems to be missing is a Motorsport Industry. The Motorsport Industry of a country basically provides engineering and service businesses that support the sporting profession of motorsports. 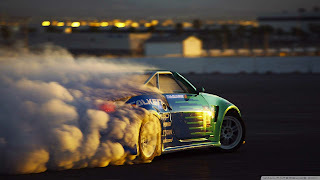 It serves as a connection for all racecar drivers, auto mechanics, engineers and financial institutes. The success of the industry in other countries is attributed to the proper investment, management and promotion put in place by organizations. Nigeria is no doubt capable of building such industry what is needed is the availability of Big time investors or sponsorship, a conducive racing environment, professionals, associations for drivers and a global business network. 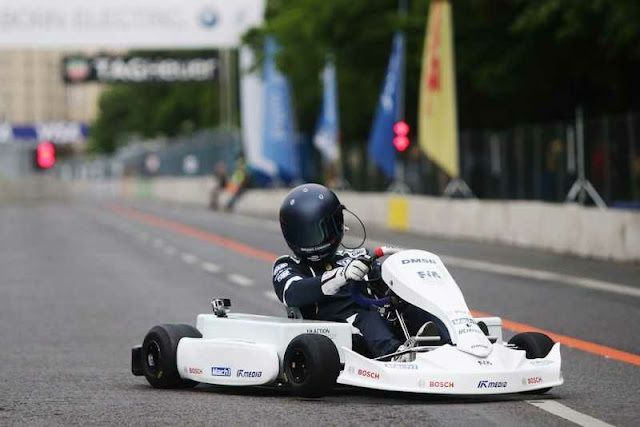 Business groups or individuals, financial institutes like banks are needed for the development of Motorsport in various areas such as construction of tracks, payment of salaries, sponsorship and so much more. Insurance companies are not left out knowing the high risk involved in this industry. An arena is needed where racecar drivers, supercar lovers can gather for a show. Large expenses of land is needed in the construction of a racing track, these tracks can be situated in States like Lagos, Oyo, Enugu, Kaduna and Abuja for accessibility and large excess in land. 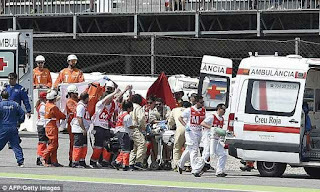 Drivers, mechanics, engineers, race staffs, medical staffs all need proper screening and training. Racecars are said to be very technical depending on the mechanism adopted, experts are needed too for effective performance. An association through which drivers are screened and registered before racing should be created to assist in the proper documentation and management of the record of drivers and their activities, and also supply motorsport competitors with the equipment necessary to participate in the sport. A global business network. The industry should be connected to other motorsport industry in other countries to foster the relationship and to earn international recognition. This business network is where investors, banks, law firms, insurance companies are interested. Investors are after the profit return the business brings in future, banks will make sure the industry players have there finances on their watch. Law firms come in to take care of the agreements and lawsuits and they could be solicitors to companies who manufacture and sell there cars or engines. 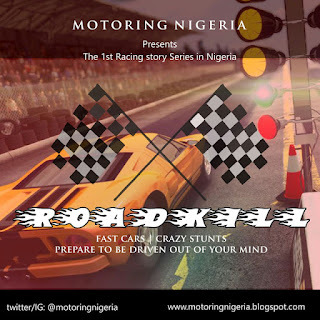 Do you think Nigeria deserves to have its own Motorsport? Leave your comments below. How To Drive A Manual Transmission/Stick Shift - 3. * COMING TO A STOP. 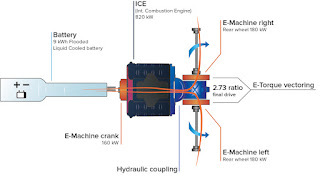 - Engine braking is using the engine's power to slow the vehicle by downshifting (To the nearest lowest gear if you are not stopping completely and preferably to gear one if you intend on stopping completely). - Free rolling is taking the car out of gear by putting it in neutral and coast to a stop with the brake. This is considered dangerous as there's no power in an emergency and maybe illegal where you are driving. 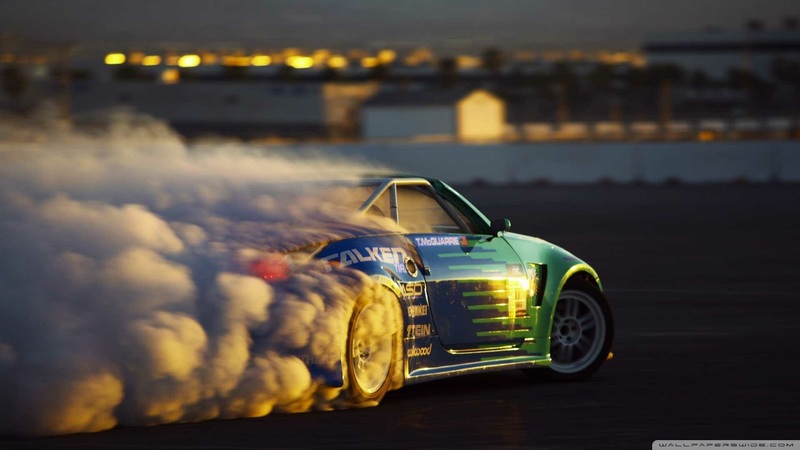 - As you slow down to about 10 mph (16 km/h) you will feel the car about to start shaking and vibrating. - Press the clutch pedal fully down and move the gear shift to neutral to prevent the engine from stalling. * STARTING ON A HILL. If you're driving a stick shift, you might end up finding yourself in a hilly situation. There's no shame in using the handbrake when starting on a hill but isn't necessary except for very steep ones. - Apply the parking brake. - Put the transmission into first gear. - Now, slowly release the clutch. When you reach the catch point, slowly release the brake - the engine should hold you in place longer enough to get your feet on the accelerator. 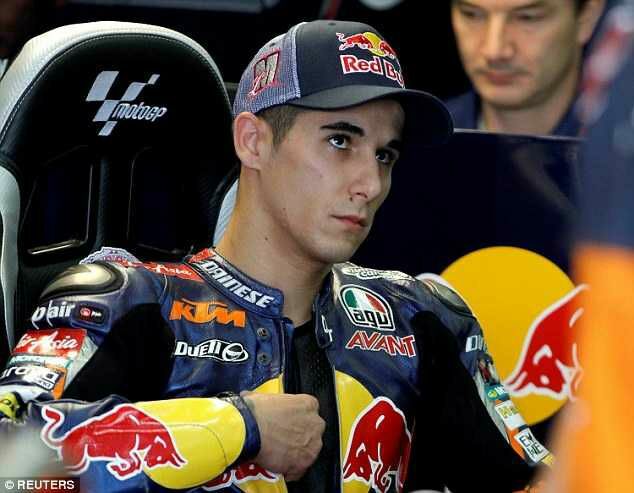 - At this point, you'll need to give the engine a little more gas than usual, to avoid rolling backwards. With more practice, you can accomplish this maneuver without drifting back into the car behind you. If you are one who loves to travel around a lot, you must have heard some motorists say; when stopping on a hill, put a manual transmission into first gear or reverse to park it—first gear if you're pointed uphill, and reverse if you're pointed downhill. It is important to note that the emergency brake is very important when parking a stick shift car - in any situation, either on a hill or a flat road. 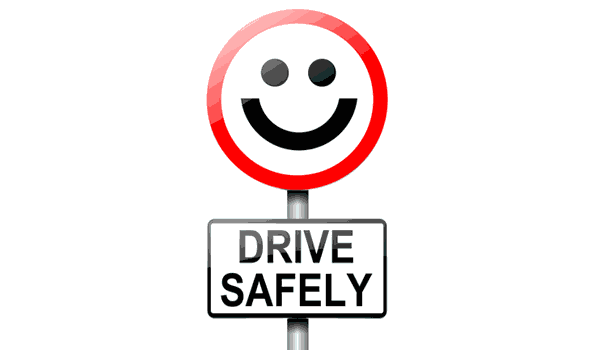 For extra safety, leave the car in gear AND use the emergency brake. Also, you should note this. When parked on a hill, ensure to turn the front wheels so that if your car does roll, it will roll into the sidewalk curb. If you're parked and your car is pointing downhill and parking on the right, your wheels should point right. If you're parked and your car is pointing uphill and you're parking on the right, your wheels should point left. * PRACTICE AND KEEP DRIVING. There is no better way to learn how to drive a stick shift than getting behind the wheel in an empty parking lot then facing your demons by taking that sweet ride into the crazy wild street. Trust me, once you start driving you never stop learning because being out there on the road you come across other motorists who think they know it all and you being the smart one will learn from their mistakes. Anyways, you will never know if you don't try and who knows - you might learn some new curse words. Do you have any questions or comments, do leave them in the comment box below.